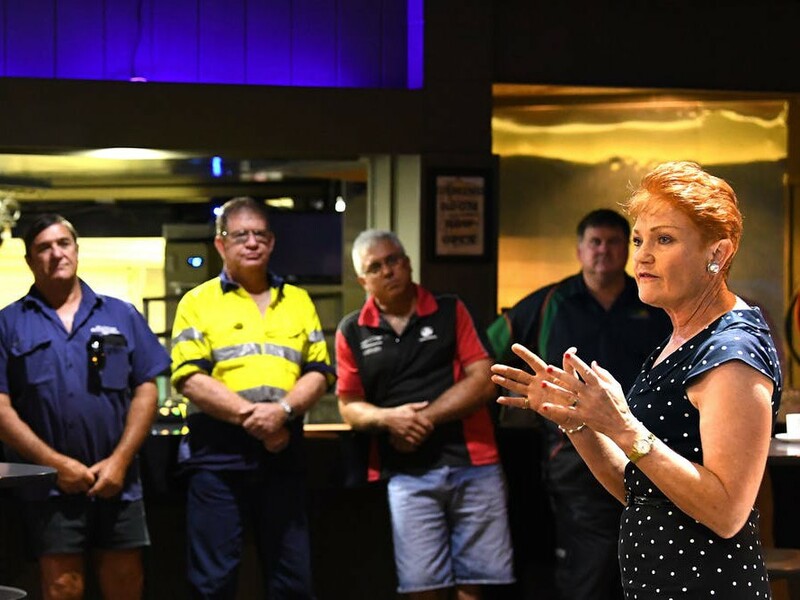 The controversial Adani mine has dominated national debate around the Queensland election, but voters in the state’s far-north are also concerned with crime and cost-of-living pressures, energy, and water security. These aren’t the only issues that concern voters, but they are prevalent because they reflect the expectations that minor party preferences will determine the election outcome. One Nation will contest ten of 12 northern electorates, while Katter’s Australian Party and the Greens will contest six and 11 respectively. One Nation and Katter’s Australian Party have cut a preference deal to increase their combined influence in anticipation of a hung parliament. The minor parties are unlikely to win more than one additional seat in the north despite the vulnerability of several Labor and LNP-held electorates. In fact, One Nation is polling better in southern and central Queensland than it is in the north, according to the most recent Galaxy poll. But picking up seats isn’t the only goal. Minor parties will want to influence the policies of the major parties, and they’ll want to speak to voters throughout Queensland about their policies for the north. Whether or not people agree with the Katter’s Australian Party’s plan to cull crocodiles, the need to take crocodile management more seriously resonates across north Queensland. Despite assurances croc populations are steady, many believe the number and size of crocs found in residential and recreational areas presents an unacceptable risk. At least two people have been killed by crocodiles in Queensland in the last 12 months and two patrolled beaches in Cairns have been closed to swimmers in just the last fortnight. Concern about croc management plays into a broader distrust of Brisbane-based governments seen to misunderstand and neglect the north in their chase for southern votes - the sort of distrust the minor parties will hope to exploit. Across the north, the LNP is going “tough on crime” but nowhere are they going tougher than in Townsville, with a promised youth curfew in addition to the extra police resources and legislative changes promised more generally. There is a genuinely high level of public anxiety over recent spikes in criminal activity. And it is true crime is higher in the north than it is elsewhere. Offence rates for crimes against the person in the Far North Queensland police district are more than double the Queensland average, and they are over twice as high again in the Mt Isa district which covers west and north west Queensland. Similar patterns are evident for public nuisance offences. However, property crime rates in the far and northwest are closer to the state average. And offence rates for all crimes are closer to the state average in the Townsville police district. Localised and short-term spikes in the crime rate should not be dismissed but Indigenous community leaders such as Palm Island Mayor Alf Lacey feel major parties are ignoring more pressing areas of need. North Queenslanders are well used to hyperbolic promises of development. The key election issues here though are local infrastructure needs, business opportunities and jobs. Unemployment in Cairns is close to the state and national average on 5.6%, but it jumps to 9.6% in Townsville and thence 30-60% in several smaller, predominately Indigenous, communities. Labor’s Queensland First strategy may sound like a populist appeal to potential One Nation voters. Among other things, the strategy prioritises the use of suppliers able to use local labour, allows consideration of non-economic values in tender evaluation, and sets a minimum target of 3% of expenditure to be directed through Indigenous businesses. Reforming procurement processes to ensure government expenditure on roads, schools and other much-needed infrastructure provides opportunities for local business participation, employment and skills development will be popular and so a broadly similar policy has been taken up by the LNP opposition. All major urban and agricultural water supplies in north Queensland are at, or close, to capacity. Townsville, for example, has been on level three water restrictions since August last year and, with storage levels dropping to 15%, is about to start pumping water from further south. Five major water security projects currently proposed for north Queensland are likely to be approved regardless of who wins office. The LNP wants to establish a Queensland Dam Company to avoid excessive delays while Labor says it has already committed resources to the relevant projects. As for energy, about 90% of electricity consumed in the north is imported from central Queensland. On a cyclone prone coastline there is a clear vulnerability here and public concern about costs is also high. But considerable investment in renewable projects in the region calls into question the need for (or electoral appeal of) a new coal-fired plant. WHO OR WHAT IS MISSING IN THIS ELECTION? The electorate of Cook highlights issues that deserve more prominence in this election. It’s a diverse seat that takes in the Torres Strait, Cape York, Wet Tropics and parts of the Tablelands, and all parties are putting up candidates. And it’s possibly the only electorate in Queensland where all candidates are openly pursuing Indigenous voters with promises of economic development and empowerment. At the state level, however, the parties are largely keeping their views on issues of concern to Indigenous Queenslanders to themselves. Labor’s policy manifesto promises to establish a Treaty Working Group to consider appropriate processes and timelines for negotiating treaties between the state and First Nation peoples. This is a substantial policy reform. Yet it has received no significant attention during the campaign. Katter’s Australian Party policy documents promote Indigenous economic development but, again, there is little evidence these have received any campaign attention. Similarly, a 13% rise in breaches of Domestic and Family Violence Protection Orders between 2015-16 and 2016-17 in far north Queensland suggests the safety of women and children ought to be an election issue. The policy platforms released by both Labor and the LNP emphasise their records on responding to domestic violence but we have not seen these debated in the north. Why are these issues receiving comparatively little attention? Part of the explanation is demographic. The average Mundingburra voter, for example, is Australian-born and aged between 40 and 59. Their offspring, the 17-21 are the second-largest demographic, and tend to vote the same way as their parents. It is typical One Nation voter land, and is the kind of electorate in which Labor is in trouble. Whoever wins the 2017 Queensland election will get there on minor party preferences, and they are likely to need the support of minor parties in the house. The irony here is that the instability of minority government, if that is where we end up, will feed the disillusionment among North Queensland voters that minor parties draw on.